West Michigan Piano is the largest Schimmel Dealer in the Midwest and it has been our “flagship line” of finely crafted pianos for many years. In that time we have developed a close working relationship with the factory as well as with Mr. Schimmel himself. 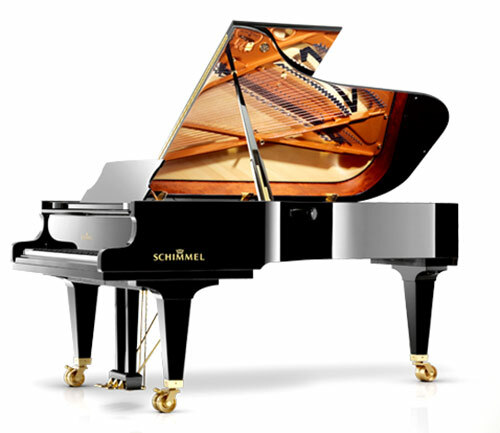 Because we make periodic trips to the production plant in Germany we are often among the first to gain awareness of new Schimmel models and any special purchasing opportunities. German craftsmanship is greatly exemplified in these instruments and the attention to detail that goes into the production of each piano is nothing short of astounding. We highly recommend you contact us for more information on these amazing pianos. West Michigan Piano has always been extremely professional, kind and helpful. I called and had a technician out in two days to look at my piano. They are always prompt, reliable and helpful and I am sure you will also have a great experience. The office professionals in the store were very helpful to me and I was able to get all my questions answered. In this digital age I am finding many retailers in general may not value customer service but this is not the case with West Michigan Piano. They have excellent customer service and they make you feel you are getting personalized attention and help. Great job!